September 14, 2016 may pass uneventfully for most people, but at TTR data recovery, we’re planning on celebrating a major industry milestone. 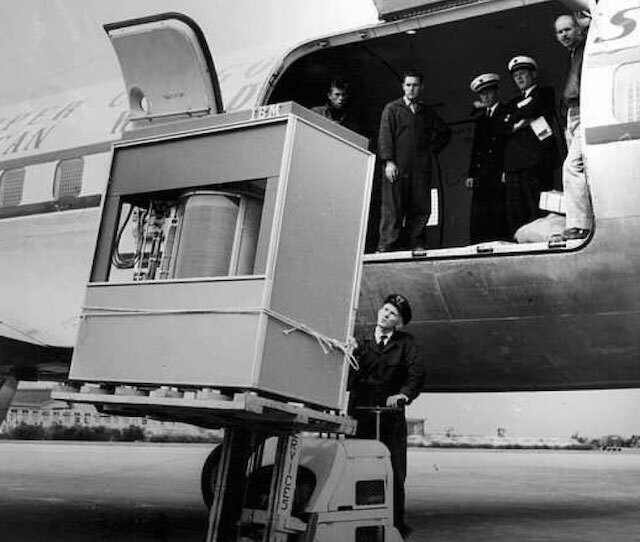 It was on this day in 1956 that IBM announced its first commercial computing system with a hard drive, and it changed the way data was stored forever. Here are some of the key steps in the journey that got us to where we are today. The original RAMAC systems from IBM were a far cry from the modern era. For around $3,200 monthly, you could save 5 million characters of alphanumeric data. Of course, you weren’t likely to require the kind of hard drive recovery service we perform today, since these drives consisted of fifty two-foot-diameter disks each housed in units that occupied an entire room and weighed a ton. Spurred on by the RAMAC series’ success at high profile venues, like the 1960 Olympic Winter Games, IBM made more headway. In 1961, it invented drive heads in the form of airfoils that hovered just above the surface of the disks, which is the standard for today. In 1963, the company revealed its Model 5 IBM 1311 Disk Storage Drive, which stored around 2 million characters and was actually removable. A weight of 10 pounds per set of six 14-inch-diameter disks didn’t really make handling convenient. Still, many say this was the death knell for punched cards, and in 1966, IBM hammered another nail in the coffin by creating write heads using wound-coil ferrites. This decade marked major advances by IBM and numerous competitors. Many of the companies that really got their start in these days still exist now. For instance, in 1970, General Digital Corporation was founded, although you’ll probably be more familiar with this firm’s modern moniker, Western Digital. The year 1973 saw the first Winchester drive from IBM. With around 30 MB of removable storage and 30 MB of fixed storage, its developers thought it close enough to the Winchester .30-30 rifle to give it the same name. While their flair for naming may not hold up to modern sensibilities, this device’s sealed housing, minimal-weight heads and spindle lubrication set high standards. RAID devices appeared around 1977 or ’78 following the description of RAID 4 in a patent by IBM scientist Norman Ken Ouchi. Thin-film heads were introduced on the 571 MB IBM 3370 in 1979. Although this drive stuck to massive 14-inch platters, IBM released an alternative with six 8-inch platters that could hold 64 MB in total. The year 1979 also saw Seagate hit the ground running with its ST-506 and interface, which wasn’t actually released commercially until the following year. At $1,500, it only stored 5 MB after formatting, but it was the world’s first true 5.25-inch drive. Because it was also based on the standard floppy-disk drive interfaces produced by the prolific Shugart Associates, it was easy to integrate into other systems. This decade marked a transition from business-only systems to computers and hard drives targeted more towards home use. Still, business concerns drove much of early development. The first gigabyte drive came out of IBM in 1980, and in 1981, Shugart Associates laid the groundwork for SCSI with a new interface. Miniaturization was all the rage, with Western Digital releasing the WD1010, a single-chip hard drive controller, in 1982, and Rodime revealing the 10 MB, RO352 in 1983. The RO352 was the first 3.5-inch hard drive. Nonetheless, it would take until 1988 before 20 MB, 2.5-inch drives were introduced by PrairieTek for use in notebooks, and the 3.5-inch standard only assumed today’s 1-inch-high variant that same year. Until now, controlling drive hardware had been a computer design nightmare. Then, IBM’s Personal Computer AT, or PC/AT, received a third-party hard-drive controller card from Western Digital in 1984. A year later, Imprimis built the first drive with its own embedded controller, and Quantum revealed a Plus Hardcard so users could add drives without extra controllers or bays. This was a huge decade for standardization. In 1985, Western Digital teamed up with Compaq Computer and Control Data to release the first 40-pin IDE interface. Western Digital also created the Enhanced Small Device Interface controller that year. In 1986, SCSI was officially revealed and featured in the Apple Mac Plus, si. To a modern user, hard drives only started looking familiar near the turn of the century. Of course, technology was still advancing, with IBM’s 1991 0663 Corsair marking the commercial debut of thin-film magnetoresistive heads and 1 GB of storage in a 3.5-inch profile. Not to be outdone, Integral Peripherals created a 1.8-inch platter that held 21 MB that same year. Seagate dominated 1992 with the introduction of 2.5-inch drives that sensed shock and a 2.1 GB drive that spun at a then-blinding 7,200 RPM. This record remained the apex of speed until the company reached 10,000 RPM four years later. Drives grew smaller as storage capacity increased during the ’90s to match rising consumer expectations and enterprise demand. Many technologies, like the IBM/Hitachi Microdrive that stored 340 MB on a 1-inch disk, had relatively brief lives. This decade marked the introduction of 15,000 RPM drives from Seagate, which also introduced a Serial ATA drive and demoed the ability to store 100 GB per square inch in 2002. While the ’00s were full of other cool innovations, like Western Digital’s first 10,000 RPM SATA drive, alternative technologies also started to gain focus. SSD History storage and other forms of flash memory didn’t steal all the limelight, but they may have made it more difficult for people to get as enthused about cool HDD tech, like perpendicular magnetic recording. Of course, nobody can deny the allure of the multi-terabyte hard drives that started appearing around 2007 and culminated in December 2015 with the world’s first 10 TB, helium-filled device from Western Digital.